Road Closures around the school. The map explains when the road will be shut and where- there will always be access but might change day to day. 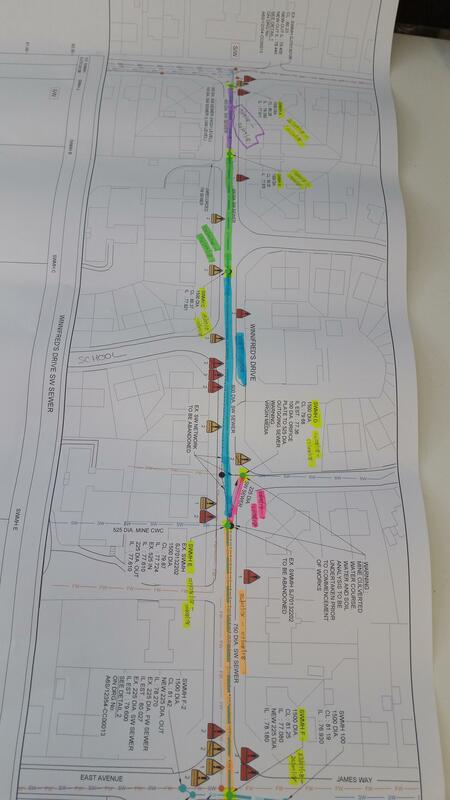 I have attached a photo of the work schedule on St Winnifred’s Drive, but I will go through it with you. We will then start to lay the new sewer from manhole F to manhole E and the planned duration of this work is from 26 July – 7 August. After the pipe has been laid in each section it will be backfilled and tarmac. Manhole E to manhole D – 10 August to 14 August. Manhole E to manhole C – 17 August to 3 September. This is the section that will pass the junction of Leonards Close, this will be done during the school holidays. The road closure on St Winnifred’s Drive will remain in place while we carry out the connection of the new sewer into the existing network at the junction of East Avenue and this is planned for 1 October – 12 October. Between 12 October – 19 October we will complete the final reinstatement of St Winnifred’s Drive. Please note these dates may change depending on other utilities we may find underground.